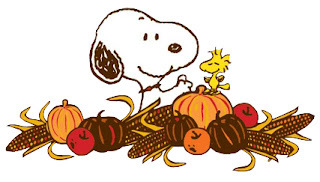 Thanksgiving is one of those memory holidays. Whether good ones or bad ones, it’s one of those days you remember and reflect upon. When I was growing up, for example, my mother didn’t really care for turkey. Our traditional Thanksgiving dinner included dressing and mashed potatoes and other good things, but no turkey. We always had a baked hen. Hen’s can be tricky birds and one year that old hen just wouldn’t get done. Hence, one tough old hen created a Thanksgiving memory. In addition to giving thanks for our blessings, food, family, and football seem to be the theme of this special American holiday. I’m not a football fan, but I do like preparing the meal and having my family and friends around me. Additionally, for many in our community, feeding the hungry is also a part of their Thanksgiving tradition. This year, more than ever, many people have a new personal theme to this day; that of hunger. The groups in our community who help those in need are seeing an increase in the number of folks coming to them for help. Many have never asked for help before, but loss of jobs, homes and income have brought them to the doorstep of the non-profit organizations. There is a new dilemma this year, however. The needs have increased but the numbers of people who are able to give have decreased. In too many homes throughout our county Thanksgiving will be just another day of too little food and too much hunger. 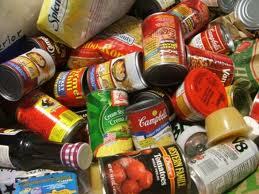 With the donations of generous folks throughout Cobb, however, there will be food baskets filling empty pantries. In mentioning some of the groups offering help, I’m sure I will offend others who are not mentioned; just know that it is not intentional if a group is omitted. There is an abundance of generous people in our county and so many groups willing to lend their expertise and time to coordinating the donation efforts. One well known group that has been filling Thanksgiving baskets here for 25 years is the Center for Family Resources (formerly known as Cobb Family Resources.) If you would like to make a contribution to them or find out how to receive help, call them at 770-428-2601 or www.TheCFR.org. Another group of individuals who are often forgotten are those with mental health disabilities. The Cobb Community Services Board is furnishing baskets for several hundred individuals and families for Thanksgiving. To make a contribution for yourself or a group, call Mary Robeck at 770-819-9229, ext. 226. She will even come and collect your canned goods or grocery store gift cards for meats. She is also looking for folks to provide special activities and/or Christmas gifts for individuals or families or groups served by Cobb/Douglas Community Services Board. C.A.M.P. in Austell is seeking donations rather than actual food. A contribution of $10 will go a long ways toward feeding a family at the holiday or throughout the year. Their clothes closet provides approximately 12,000 gently-used clothing and household items, as well as essential items such as diapers, feminine hygiene products and school supplies. Donations can be mailed to P.O. Box 802, Austell 30168 or online at www.svcamp.org. They are located at 6289 Veterans Memorial Highway Building 12, Austell or call them at 770-819-0662. Last year our son and his wife, Peter and Ann-Bailey, came from Virginia to Marietta on Wednesday so they can run in the Thanksgiving Day Gobble Jog. This is a fund-raising event for MUST Ministries. They are well-known in our community for the help they provide, including food at Thanksgiving and throughout the year. For information about MUST Ministries in Smyrna call them at 770-436-9514 or check their web site at MUSTMinistries.org or for the Gobble Jog: www.gobblejog.org , or call the Gobble Jog hotline: 678-218-4521. On November 24 we will gather together, thankful to God for our family, our home, food to eat and fellowship with those we love. For us and for many families throughout our county and country, it has been a year of belt-tightening and budgeting, but on Thanksgiving Day we will be grateful for all of our many blessing.